In 1984 August, N.T.Rama Rao was removed from C.M. post by Nadendla Bhaskara Rao with the support of Indira Gandhi. Within a month, N.T.R became C.M. again, because, Nadendla could not prove his majority in the assembly. After N.T.R. became C.M second time, he started getting trouble from the MLAs who supported him when Nadendla rebelled. They behaved in such a way that, N.T.R was in his position because of them. He got frustrated with them, and wanted to get a fresh elections to prove himself and to expel those MLAs. At the same time, Rajiv Gandhi was also asking for early elections to utilize the sympathy of assassination of Indira Gandhi. For the early elections for A.P. State Assembly, Rajiv Gandhi had few conditions, and N.T.R. accepted them. TDP should not put any strong candidates to three leaders of Congress Party. They are P.V.Narasimha Rao (Hanumakonda), Siva Sankar (Medak) and Jalagam Vengala Rao (Khammmam). TDP gave Hanumakonda to BJP and Khammam to CPM. It put a mandal leader in Medak. But, with the sympathy that NTR had, TDP won in Medak, and BJP won in Hanumakonda. However, CPM lost in Khammam, and Jalgam Vengala Rao won there. In that elections, BJP won only in two seats in the entire country, and Hanumakonda is one of them. 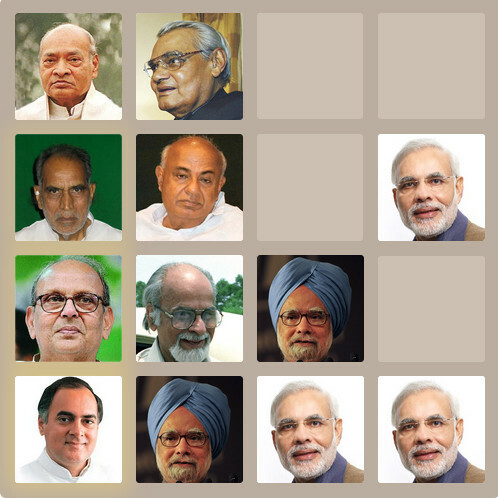 The two great Prime Ministers of India (P.V.Narasimha Rao and Atal Bihari Vajpayee) lost in this election. N.T.Rama Rao should not go to any other state for publicity. Due to personal friendship, he had to go to Kolar of Karnataka on the invitation of Rama Krishna Hegde. For going there, he got a call from Delhi on why he went there. Elections for the Parliament and Assembly should not happen at the same time. Elections for Parliament happened in Dec 1984, and for Assembly, it happened in March 1985. Till some time back, I used to hate KCR and his supporters. After I moved out of Telangana, I changed my opinion. Now, I say, KCR and Kodandaram should take the movement in the same way for next 3-4 years, and then the process for the separate state should be started. My main worry and the worry of other people who are from coastal andhra and rayalaseema is Hyderabad. Till 1996, the present costly areas in Hyderabad like Madhapur, Kondapur and Gachibowli were either forests or hills. After Chandrababu Naidu made a mistake of developing Hyderabad, instead of developing Kuppam, Chittoor, or Tirupathi which are very near to Chennai, KCR started the Telangana movement, and Telangana people are demanding separate Telangana with Hyderabad. Everybody is ready to form a separate state with all the backward districts. But, KCR and his supporters never want that. They want separate state with their chosen districts and Hyderabad exclusively. If anyone demands the capital exclusively, it is plain robbery. Recently, I realized that, if the movement continues for another 3-4 years, then coastal area people will not lose anything. Till 2004, the land rates between Vijayawada and Guntur were very less. After that, they almost touched sky. All the real estate agents, used to say that, Telangana state may come at any time, and capital would be formed at Vijayawada. You will get 10 or 20 times to what you buy now. Whenever TRS won in the elections (They contested almost every year since 2004), the land rates used to go up significantly. When they lost, it did not go down significantly. Telangana movement helped people to get better price for the land they have. Since, Andhra people's main worry is, they are not interested in losing the developed area, the Telangana supporters decided to make it undeveloped. Once Hyderabad becomes undeveloped, andhra people will not ask for Hyderabad. Then, nobody would object for Telangana, and a separate state would be formed. PS: In this post, which sentence is sarcastic and which sentence is serious is left to the reader as an exercise.